Conquest Construction is an experienced company you can depend on. 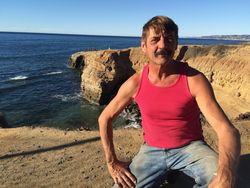 John Sherry, licensed contractor, has been serving San Diego for over 28 years. We specialize in decks, patio covers, fences, and all carpentry services. or fill our online request form with your building ideas and to discuss your needs. Our expertise has always been noted , not only professionalism, quality workmanship and reliability but also for not interrupting your daily routine.